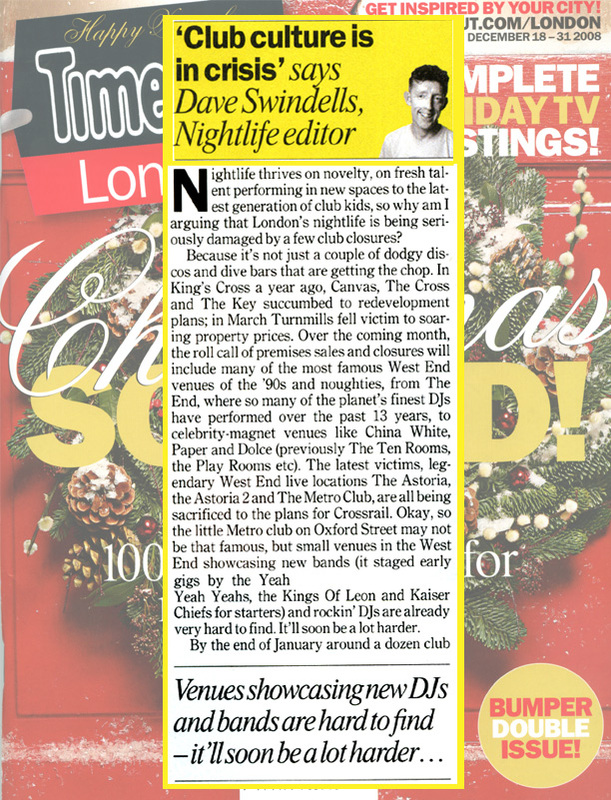 Time Out: Club Culture in Crisis - The Metro Club. The latest victims, legendary West End live locations The Astoria, the Astoria 2 and The Metro Club, are all being sacrificed to the plans for Crossrail. Okay, so the little Metro club on Oxford Street may not be that famous, but small venues in the West End showcasing new bands (it staged early gigs by the Yeah Yeah Yeahs, the Kings of Leon and Kaiser Chiefs for starters) and rockin' DJs are already hard to find. It'll soon be a lot harder.